When HJC Helmets started making motorcycle headgear themed to match the world’s favorite Marvel superheroes, you had to figure they’d start with characters who enjoy a relationship with bikes. The company got Captain America sorted soon enough, but they left out an obvious pick in Ghost Rider. Now, HJC took care of that oversight with the addition of helmets based on that vengeful skeleton and the beloved Deadpool. 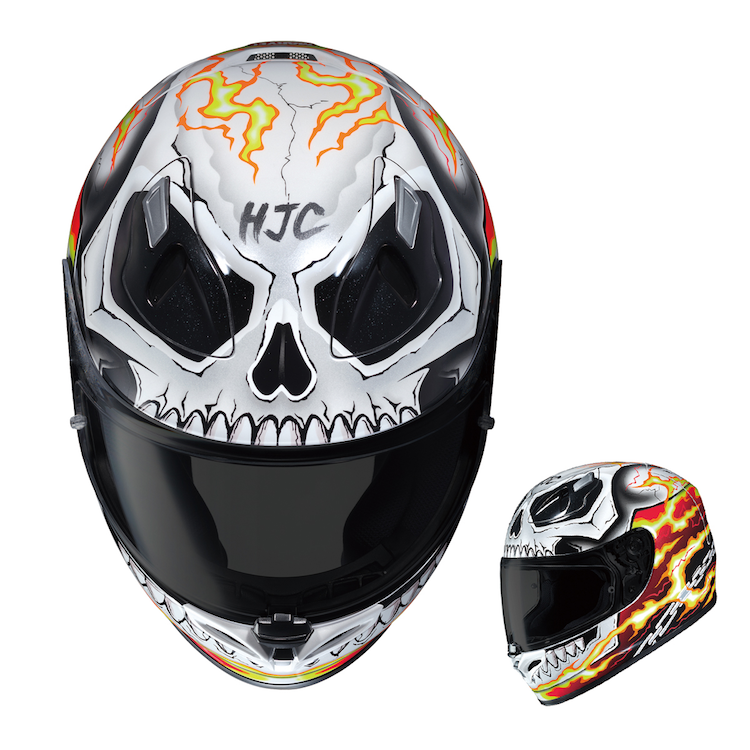 The Ghost Rider model will be offered on HJC’s fiberglass FG-17 model. Deadpool appears on the IS-17 model with a drop-down sunshield. Both are set to arrive for riders in Spring, 2017. The Deadpool model will be offered at $299, while Ghost Rider catches fire at $309. 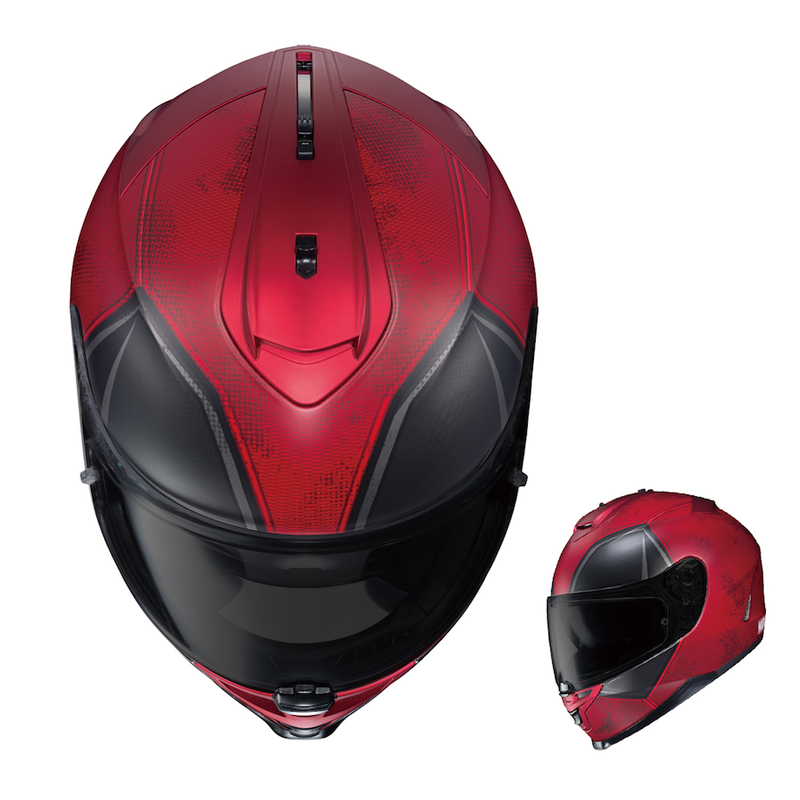 Both helmets will show up at both authorized HJC dealers around the world and via order online. The Ghost Rider FG-17 is available in sizes XS through 3XL, while Deadpool’s IS-17 arrives in XS-2XL.